The black and white EP Pro ladies sleeveless golf shirt is made of Tour-Tech poly pique and poly/spandex jersey, which has blocked sleeveless split tab neck. For the ladies golf shirt, there are two styles available (See picture). The first one is an EP Pro Ladies short sleeve golf shirt with chevron yoke seaming and logo ribbon trim. It is made of Tour-Tech poly interlock and available in colors Margarita and black. While the second one is EP Pro Ladies cap sleeve golf shirt with contrast trims and mesh detail. It is made of Tour-Tech poly/spandex and available in colors white and Margarita. To match these shirts, there are various items of shorts and skorts in this EP Pro Domino Effect collection to choose from. We have here an EP Pro Ladies &Plus Size golf short. It is 20” in length and is made of Tour-Tech 2-way stretch texture poly short. It has a lattice belt loop detail and available in solid Margarita and black. If you want a longer golf shorts, check this EP Pro Ladies&Plus Size golf shorts that have a length of 23”. It is a fashionable black ditzy printed shorts. It is also made of Tour-Tech 2-way stretch poly with ribbon belt loop detail. If you prefer a gold skort, this EP Pro Ladies &Plus Size will suit you better. It is 19” in length and has a ribbon banded trim pocket detail. Like the golf shorts mentioned, it is also made of Tour-Tech 2-way stretch. Its prints include colors of black, white and Margarita. The good news is all of the items featured in EP Pro Domino collection are offered with free shipping. Don’t forget to check EP Sizing Chart first to get that perfect fit. Get the hottest EP Pro Ladies golf apparel collections at http://lorisgolfshoppe.com/. 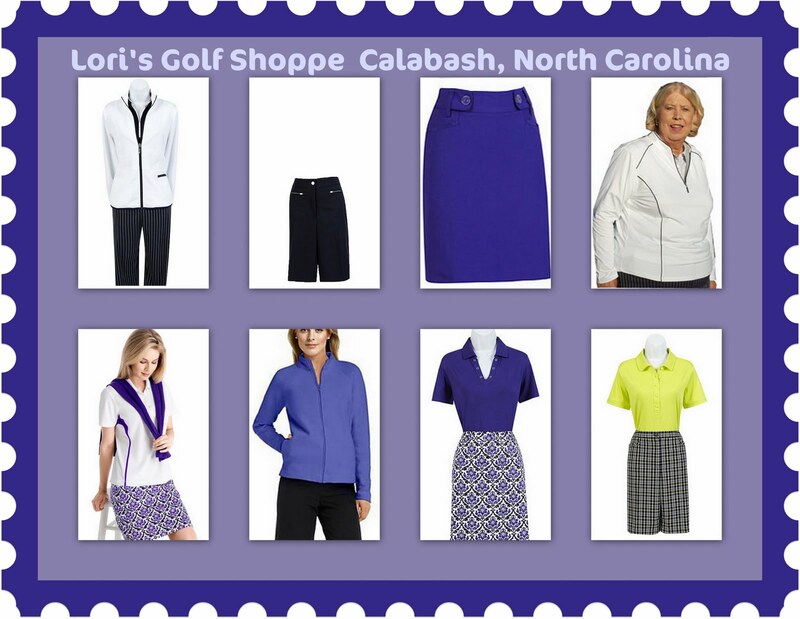 And feel free to visit Lori’s Golf Shoppe at Calabash, NC. Just in time for Spring 2011 … EP Pro’s Plus Size Spring Apparel line! EP Pro tastefully blends classic looks with modern trends capturing a feeling that is as new as it is wearable! Styles work on the golf course, at the restaurant, or for the party. EP Pro provides an extensive assortment of high quality basics, ranging from solids and patterned polos to sweaters, outerwear and bottoms. And just who has them all? Why Lori’s Golf Shoppe of course! 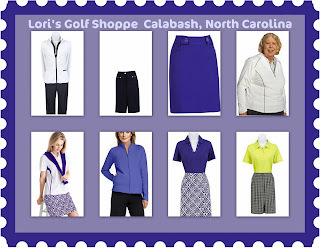 Lori’s Golf Shoppe is located off Route 17, just northeast of the South Carolina border. There you will find a large array of top designer sportswear ranging in sizes … from the petite to the plus size. At Lori’s,you’ll also find the golf shoes, socks, gloves, hats, visors, ball markers and tees to complement your purchases. Lessons, clinics, and golf packages are available to further your golfing experiences. Customized club fittings, club building and repairs are offered by one of the three full-time professionals on staff. When travel limits your shopping expeditions, why not shop online at Lorisgolfshoppe.com. There you will find everything in the retail shop and more! This internationally recognized online shoppe regularly offers clothing discounts and shipping specials that make your purchases even more affordable. Pre-order many of the items from the Spring 2011 apparel line so you can receive them as soon as they are released. Shopping at Lori’s Golf Shoppe or Lorisgolfshoppe.com is well worth your time and attention. It’s the place Where All the Golfing Gals Gather for the latest in sports technology and current styles and trends!